Colin Moran is the CEO of the Logistics Business Unit. He is responsible for the leadership, direction, performance and oversight of all logistics operations under the Group and its subsidiaries. 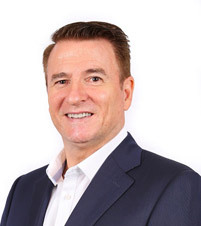 With more than 25 years’ experience in the logistics and supply chain industry across Asia Pacific, Colin has rich expertise and experience in all areas including contract logistics, express courier and freight forwarding. Prior to joining RichLand in 2010, he was the Asia Pacific Business Development Vice-President for CEVA Logistics. 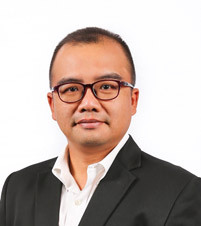 Prior to that, he managed TNT Logistics Asia for five years, and received certifications from renowned institutions in recognition of his leadership and work in the logistics and supply chain sector. 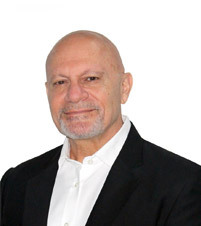 Chris Demetriou is the President Director for RichLand Logistics Indonesia. He is responsible for the overall management and development of the business. Chris has over 25 years of experience under his belt, having worked in the logistics industry in Australia, China, Japan and now in Indonesia. He has worked in various positions within the industry, including Operations, Account Management, Business Development and Freight Forwarding. Chris holds a Masters in Logistics Management from RMIT Australia. Neo Beng Lin is the Operations General Manager for Strategic Accounts at RichLand. He first joined the company as an industrial engineer in 1999, and has since held a series of positions in various departments, including Process Re-engineering, Re-modelling and Operations. His experience includes on-boarding local transportation for a major IT multi-national corporation, and managing warehousing for a wide portfolio of clients including a leading local supermarket chain and a major telecommunications firm. Beng Lin holds a degree in Civil and Structural Engineering from Nanyang Technological University (NTU Singapore). In 2003, he further obtained his Master of Science in Logistics with his dissertation focusing on vehicle route optimization.